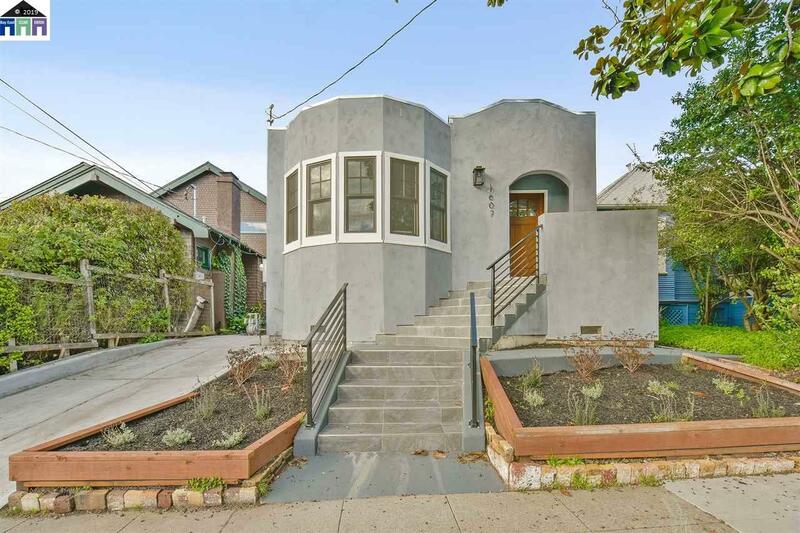 A classic home extensively renovated in Central Berkeley. Home features spacious open floor plan with abundance of natural light. Warm inviting living rm. with a stunning wood burning fireplace and beautiful built-ins. Formal dining rm. opens to custom gourmet kitchen with S.S. appliances, Marble countertop with waterfall edge, skylight, and surround system makes this a true chef's kitchen. Home includes 3 large bedrooms 2 gorgeous bathrooms plus family rm. Level backyard with custom pavers. Impressive indoor/outdoor space great for entertaining & BBQ. Upgrades: New roof, foundation, DP windows, electrical, plumbing, stucco, central heat, tankless water heater, custom handrail, and sewer lateral. Located on a tree-lined street short walk to multiple BART, SF Transit, Campus, Restaurants, Cafes, Schools, Library & weekly Farmer's Market. Great value under $900.00 per sq ft in a desirable neighborhood Must see! !